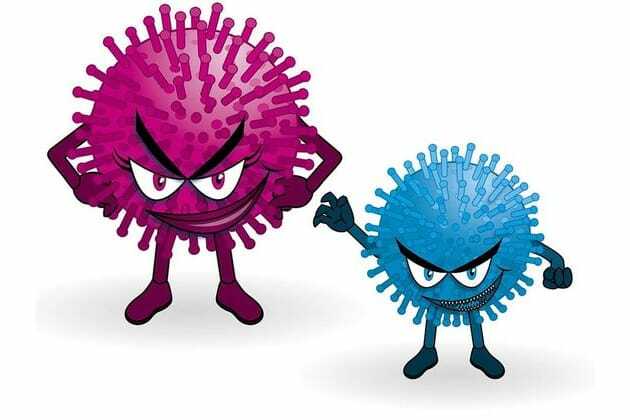 Which flu bug are you? Tell your friend you've come down with the flu and start planning your outfit? Show your face at the family do and leave early to make the party? Stick to your original plans? Friends come first! Take a tenner for yourself, treat yourself to lunch and take the rest to the police. No one will ever notice! Weep with joy and head straight to Queen Street? You need a new winter wardrobe! Take it all to the police and start a social media manhunt for the unlucky owner. It's the right thing to do! Take your friend home and spend the rest of the night holding their hair back? They'd do the same for you! Shove your friend in a taxi and run back to the dancefloor to show off your Beyonce-style moves? You're out to have a good time and you don't let anyone stand in your way! Your favourite person in the whole world is, well, you and you're not afraid to admit it.. You'll give someone the flu as soon as look at them and your favourite victims are people with chronic conditions like asthma, liver disease and diabetes. You try to do the right thing, but deep down you just want to have fun! You like to come across as the responsible and caring one, but you're not fooling anyone! You're a pro at spreading the flu virus - carers and pregnant women are your speciality. Everyone sees you as the 'good' one. You were raised to know right from wrong, but at the end of the day you're still a rotten flu bug and it's in your nature to spread havoc wherever you go. You may have a strong moral compass, but you secretly love infecting childen and people aged 65 and over. Are you a sneaky and silent villain, a loud and proud baddie or a ruthless rogue? Take the quiz and find out which bug suits your wicked ways!